Alpha Energy and Electric Inc. - Alpha Energy and Electric, Inc., is the recipient of the 2014 Kansas City Chamber Diverse Owned Business of the Year. 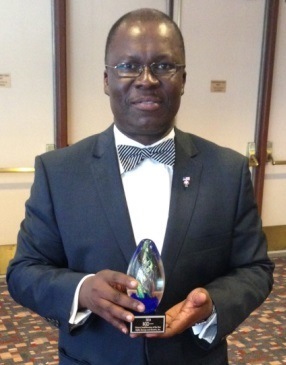 Alpha Energy and Electric, Inc., is the recipient of the 2014 Kansas City Chamber Diverse Owned Business of the Year. It is with humility and great pleasure that Alpha Energy and Electric, Inc., share our latest achievement as the recipient of the 2014 KC Chamber Diverse Owned Business of the Year. This award would not have been possible without the combined efforts of our clients and banks. So we thank them for their role in helping us acquire this recent accolade as we continue to strive for excellence. To our employees the backbone of the company, thank you. We are indeed humbled, elated and grateful to be the recipient. As we endeavor to build Alpha Energy and Electric, Inc., into a solid company that thrives for years to come, we persist in our commitment to going above and beyond in helping you help us. We strive to provide value for our customers/clients through innovative EPC and design-build approaches. At Alpha Energy and Electric Inc., we are committed to providing our clients with uncompromising level of excellence with integrity from planning to implementation. For more information, please visit our website at http://www.alphaee.com.